The town of Gujo Hachiman is well known for the "Gujo Odori" dance performance which continues for more than 30 days from July to the beginning of September. 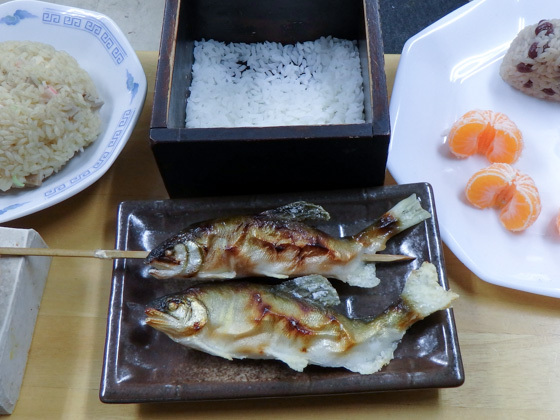 The "Tetsuya Odori" which lasts for four days during the Obon holidays in August is especially famous, the climax season of Gujo Hachiman. 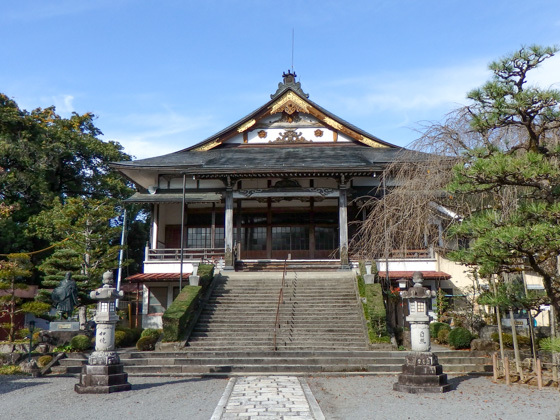 Gujo Hachiman is accessible from Nagoya by train and by bus. While taking local train along beautiful Nagara River is a fun, bus is faster and gives you maximum time in Gujo Hachiman. The price of a typical guided one day Gujo Hachiman tour from Nagoya is about 80,000 yen for a group of 5 pax. This includes a guide (English, Spanish, Chinese, French or Portuguese), bus fare, admission to Gujo Hachiman Castle, lunch, and workshop of food sample making. We can make quotation for your particular needs. 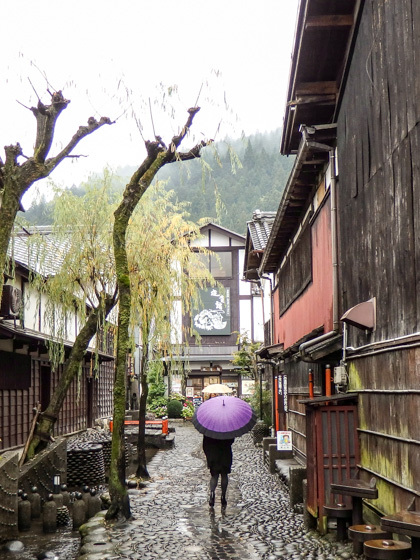 You can combine Gujo Hachiman with other destinations, Takayama and Shirakawago tour for example. 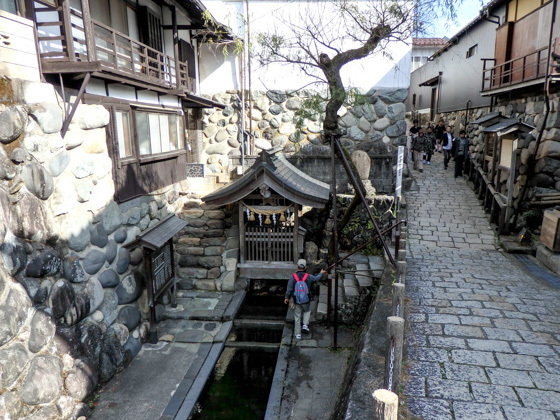 Transparent water flows through the waterways that run across the town, making Gujo "a town of clear stream". Local residents live together with the water. The castle looks over the castle town of Gujo from the hill top. The current wooden castle tower was reconstructed in 1933, and the origin of the entire castle dates back to around 800 years ago. It was approximately 400 years ago when the castle town, as we see today, was developed. 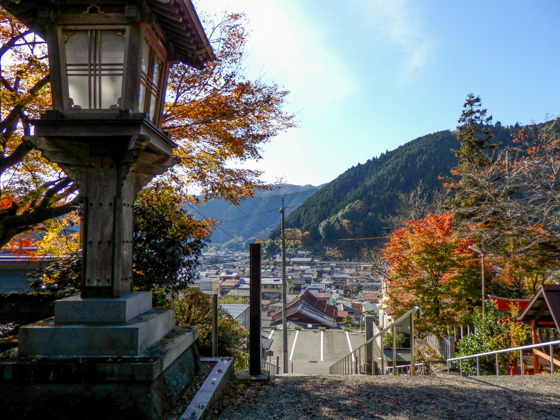 Gujo Hachiman Castle is located on a small hilltop, thus the way to the castle is just a perfect hiking route to enjoy. Once you reach the summit, the castle tower and the beautiful trees will welcome you. Each season of the year has a unique attractiveness. The cherry blossoms in spring, the green leaves in summer, colored leaves of the autumn and the winter snowy landscape. All are breathtaking. The green leaves in May and the autumn colored leaves in November are particularly notable. 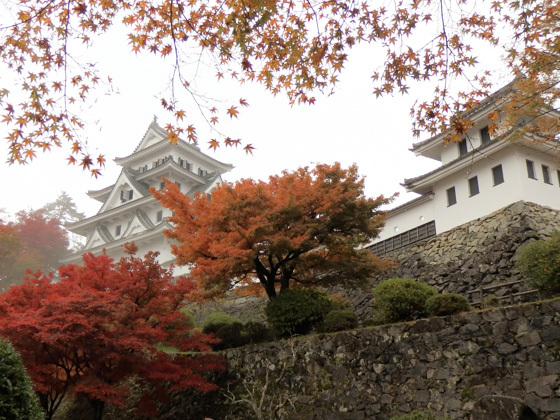 A spectacular view of the Gujo Hachiman, Nagaragawa river, and the mountains of Mino area can be observed from the upper part of the castle tower. The view is magnificent on a fine day, but has an elegant look even on a rainy day. If you are lucky enough, the castle will be wrapped by a sea of clouds, which create a fantastic view. Traditional old Japanese houses stand in the castle town, which is on the base of the castle. Walking around the city while dropping in at various shops is also a good idea. 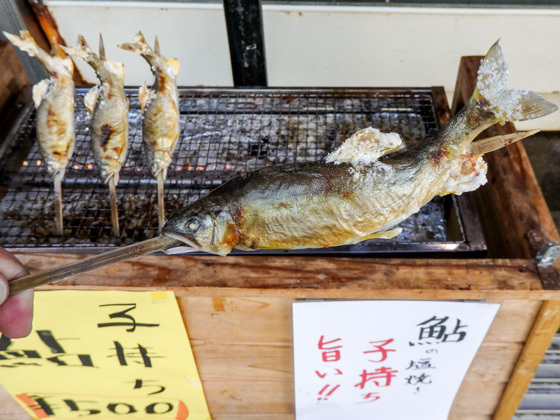 In summer and autumn, fish markets sell salt-grilled Ayu (sweetfish) in front of their store. If you are interested in the traditional local cuisine, drop in at any restaurant or eatery and enjoy the region's food. 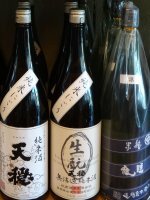 Miso (fermented soybean paste) and Sake, which are made following the traditional method using natural water of Gujo Hachiman are also recommendable. 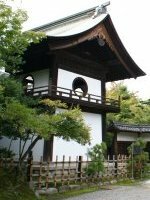 An architecture of the early Showa period, which is designated as an important cultural asset. 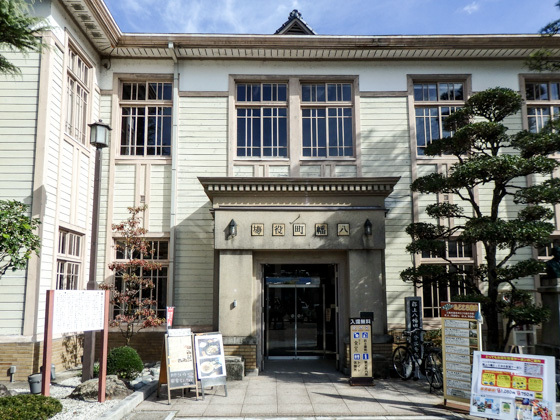 Today, the building is used as a tourist information center. There is also a restaurant inside. The Gujo Odori dance performance can be observed throughout the year here in the museum which stands along the traditional town street. 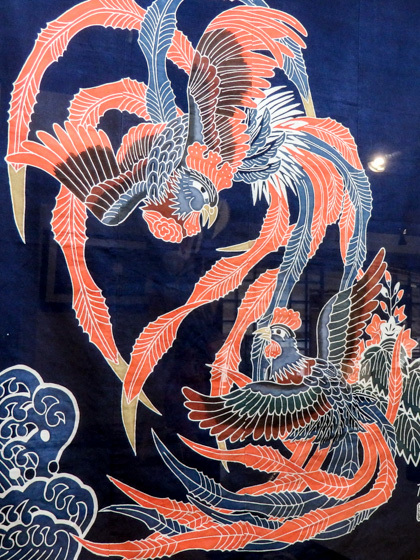 The "Gujo-zome (indigo dyeing)" and "Gujo-tsumugi (local silk textile)" which are local traditional crafts are also exhibited. 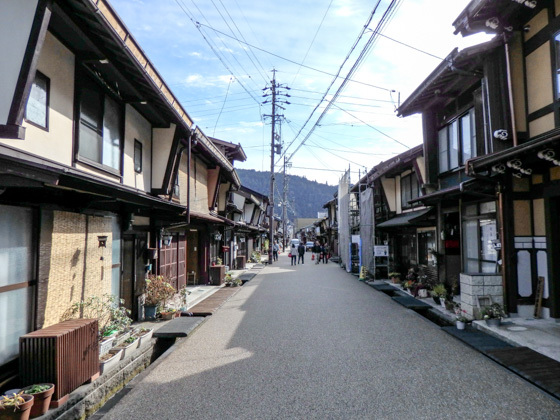 Gujo Hachiman is a town of water. There are several cities of water in Japan, though the biggest difference between Gujo and others are the quality of water. Gujo boasts of having an extremely fine quality water. The water that runs along the waterways is potable. Savor its taste in one of the water drinking areas that can be found everywhere in town. It is a spring that symbolizes Gujo Hachiman, the town of water, and was selected as the top among the 100 Exquisite and Well Conserved Waters of Japan in 1985. The name Sougisui comes from the master of Renga poet, Iio Sougi, who lived during the last years of the Muromachi period (1336 to 1573). It is said that Sougi built a thatched hut along the spring and loved drinking the fresh water. 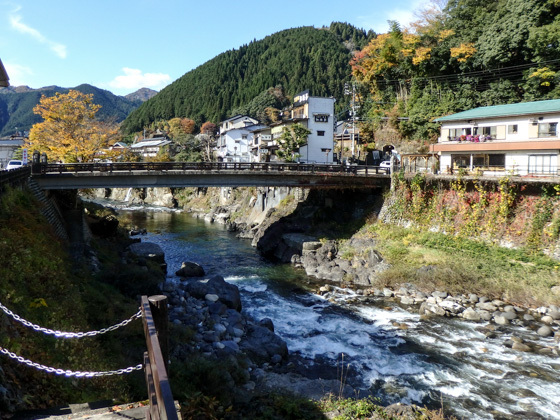 Therefore, Sougisui has been preserved as an historical place as well as for the local people's water for daily living, and has been designated as both the municipal and provincial historical and cultural assets. There are magnificent waterways where carps and stream fish live. This is a beautiful street cobbled with local river stones. 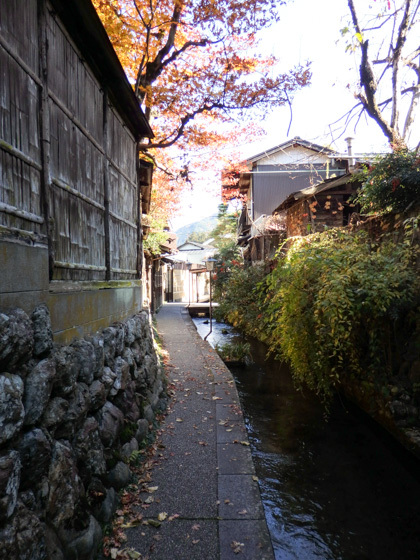 Gujo Hachiman has a lot of temples, therefore it is even called the small Kyoto. All of them are in a walking distance from the city center, so visiting around the temples is also a recommended way of enjoying Gujo. 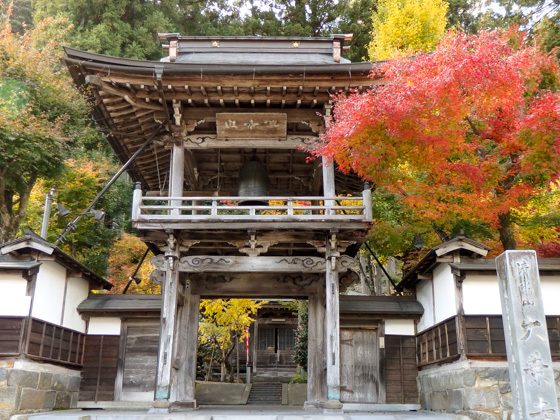 If you were to choose one among the numerous temples that exist in town, visit the Jion-zenji Temple. 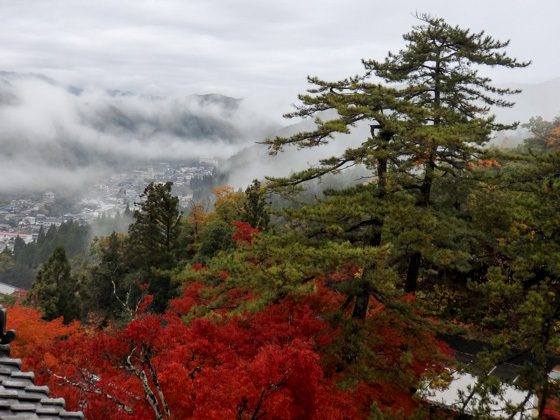 The Tetsuso-en Garden is extremely attractive, and especially in November when the tree leaves turn red, you will just be astonished with its beauty and forget time. 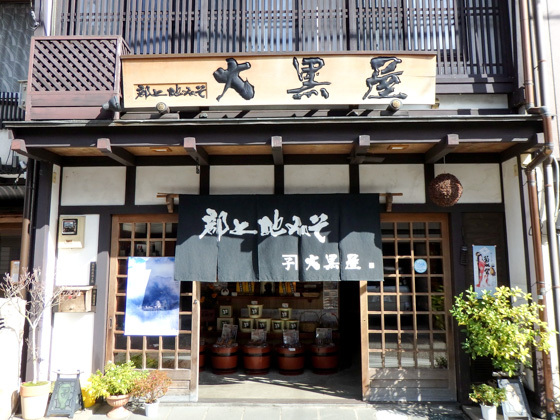 Gujo Hachiman is also famous for manufacture of food samples. 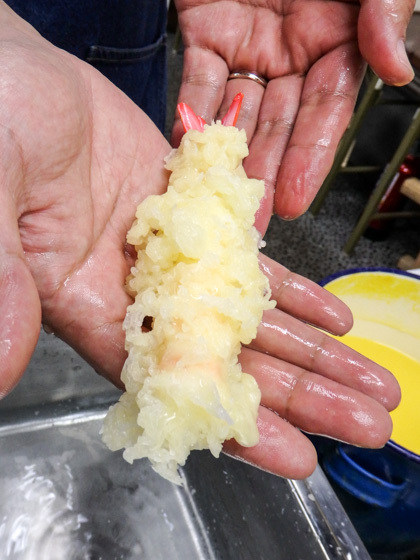 Food samples are all handmade and is so delicate that it is hard to distinguish them from real food. Workshops to make food samples are available. Participate in one of them if you are interested in it. The Gujo Odori dance performance has more than a 400 year-long history, and is performed for over 30 nights from mid-July to the beginning of September. It is the longest Bon-odori event in Japan. 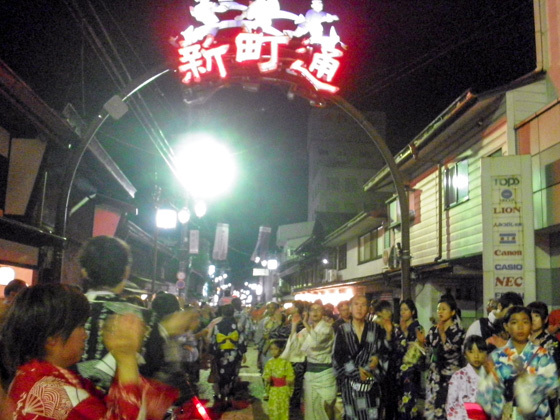 The climax is between August 13 and 16, and is called the "Tetsuya Odori" when people dance all night long. It is overwhelming to see thousands of people dancing until dawn. The best point of this dance festival is that anyone can join. It attracts a lot of people, since both local residents and tourists can freely participate.